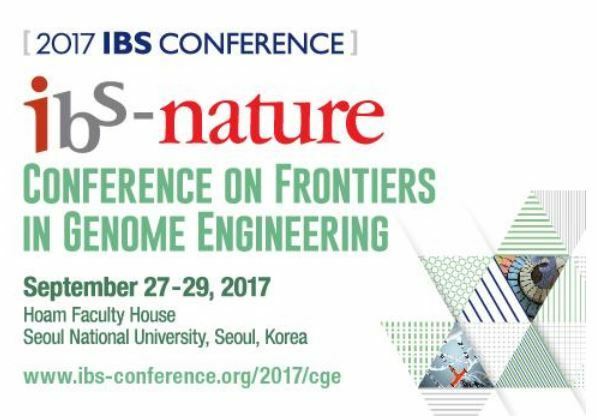 "The IBS-Nature Conference on Frontiers in Genome Engineering will open at Seoul National University on Wednesday for a three-day run, with 18 renowned scientists from home and abroad attending," the organizers said. The Institute for Basic Science is based in Daejeon, 164km south of Seoul. The meeting will handle three main topics: genome editing in plants, animals and human embryos; therapeutic genome editing in vivo and ex vivo; and base editing with targeted deaminases in plants and animals. Among the speakers will be Dana Carroll, a professor at the University of Utah, who developed first-generation gene scissors called zinc finger nucleases. Carroll will speak about the history of gene editing and related social issues. David Liu of Harvard University and Caixia Gao, a researcher at the Institute of Genetics and Developmental Biology at the Chinese Academy of Sciences, will also give speeches. Liu is the scientist who first proposed base editing, a new approach to genome editing that enables the direct conversion of one target DNA base into another. Rachel Haurwitz, president of Caribou Biosciences Inc. of the United States, will present cases in which gene scissor technologies have been applied.